It’s New York–level multitasking at this new, dual-concept LES charmer from John Seymour and Kyle Martin of Sweet Chick, Williamsburg’s popular chicken-and-waffle spot with a satellite location next door. The space, which was once home to the iconic Pink Pony bar, has been redone as a tiny café called Ludlow Coffee Supply up front, with a three-chair barbershop called Ludow Barber Supply in the back ($40, cuts; $20, beard trims). Behind the former bar top, which has been retrofitted with a marble farmhouse sink and a swanky La Marzocco espresso machine, baristas brew excellent Kenyan drip coffee ($2.75) along with espresso drinks both playful (maple latte, $5) and standard (macchiato, $3.50) using a proprietary blend roasted in Red Hook, Brooklyn. 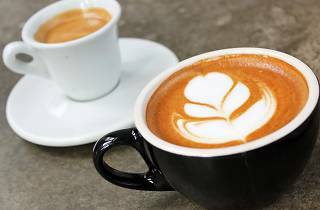 On the food front, the café offers more than the run-of-the-mill artisan coffee shop, which are a dime a dozen in this neck of the woods. An avocado toast, which costs $8 and comes three ways—as a BLT, finished with chili flakes or topped with sprouts—, is the standout, a perfect option for fueling up before a day out downtown. Skip the baked eggs with truffled mushrooms ($10), however, which are prepared in a microwave and taste a bit funky, and instead get a second round of that avo toast. Nestled one of the neighborhood’s trendiest blocks—it’s a stone’s throw from Major Hood Group’s Dirty French, across the street from The Indigo Hotel, and just down the block from the newly opened members-only Ludlow House—, the café is a quick-stop repository for the largely chic international crowd and downtown fashion kids that take over the area on weekends. In other words, it’s not the best place to cozy up with your laptop to work on that screenplay, but it’s certainly great for people watching. Beyond coffee and clientele, one of the common downfalls of these hybrid venues is that the gimmick cannot sustain the actual concept (remember laundry with grilled cheese and beer?). However, if you are in need of an actual haircut, just take a seat in one of the vintage Belmont chairs and tell the pro’s what you’re looking for. 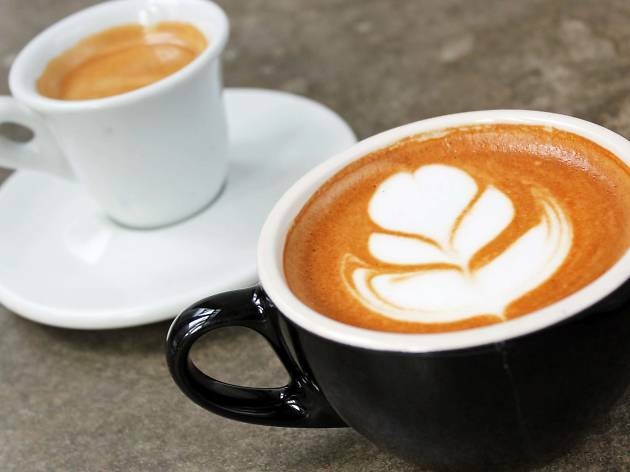 Refreshingly, at Ludlow Coffee and Barber Supply, the cuts are right up there with the pitch-perfect cortados.